So by now, most or ALL of you have heard of ActiveRain University. Our newest project with a focus to bring even greater value to ActiveRain members and to the Real Estate Industry as a whole. Our goal and mission at ARU is to provide you FREE training and support on a variety of topics and technologies that will help you with your online marketing, networking, social media efforts, and growing your business. It’s all about sharing and learning how and what other successful professionals are using and doing to be successful. Jared James is the CEO & Founder of Jared James Enterprises. He travels around the country speaking to and coaching REALTORS. As a REALTOR®, he’s built one of the largest and fastest growing Real Estate Teams in New England, was inducted into the RE/MAX Hall of Fame, and was voted by the over 2 million readers of the International publication REALTOR® Magazine as their Web Choice Award Winner. Jared was recognized as the favorite REALTOR® in the Country among the 30 under 30 issue. 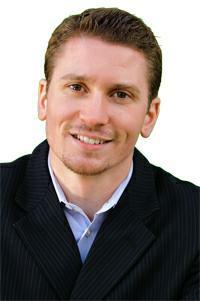 After making the transition to become a full-time coach and speaker, Jared’s debut book “Enjoy Success Today: How to Start and Build a Thriving Business… and Still Have a Life!” became a best-seller and his coaching programs have helped countless numbers of REALTORS looking to take their business to the next level and not spending 24 hours a day doing it. We’ve had some really outstanding sessions so far featuring some very talented and experienced guest speakers and presenters. Coming up in the weeks ahead we’ll be doing a few series trainings like: “How To Brand Yourself as an Expert and Build a Six-Figure Real Estate Business” featuring a surprise and very special guest speaker. We’ll also be doing a series on “The Short and Long of the Short Sale” a four-five part series that will make YOU the Short Sale expert using tested tools, techniques, technologies and systems used and shared by other Short Sale experts.